Are you wondering what the difference is between grass fed and grain fed beef? Or where exactly the ‘prime cuts’ come from? Do you know the difference between aged versus non-aged meat? And what cuts are really the best for slow cooking? 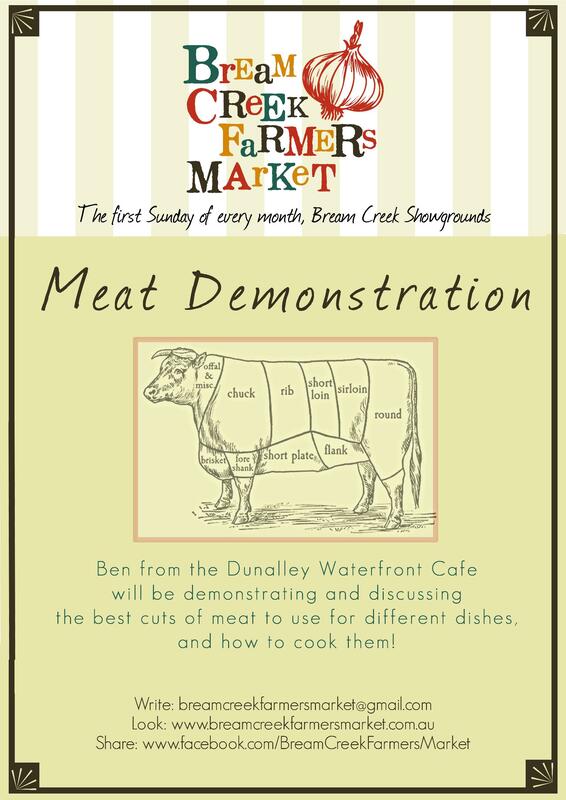 Ben Bates from the Dunalley Waterfront Cafe and Iain Field from Leap Farm can answer all of your meaty questions on Sunday 6 July at the Bream Creek Farmers Market. Iain from Leap Farm says “we’ll be cooking some of the prime cuts to demonstrate the differences in quality of meats and what we think is the best way to get the most flavour into your cooking”. Ben and Iain will be discussing all of this and more – as well as answering your curly questions, starting at 10am on Sunday 6 July at the Bream Creek Showgrounds. « Cheesemaking Course with Graham Redhead – now fully booked.